Good afternoon! Happy Wednesday to you! The past few days I have been struggling with an inability to inhale and exhale from my nose. This was so uncomfortable. My voice sound terrible. My mouth was dry because I could only breathe through my mouth. Oh, how miserable I felt. We naturally breathe through our nose and my body was insisting on doing it so pressure rose to my head and I began having a headache. It was torture. I didn’t feel sick and I had a sneaky suspicion that it was sinus/allergy related. I solicited advice via social media on suggested remedies for my symptoms and received a plethora of recommendations. Many of which I already tried. Unfortunately, they were not successful this go around. So I made an appointment with the doctor to get a diagnosis and prayerfully some drugs to open up my nasal passageways. When I arrived at the doctor, I went through all the formalities, weigh-in, check blood pressure, take temperature, and so on. The doctor came in and looked me over and checked my nasal passages and said, “Poor baby, you are completely compacted. No wonder you can’t breathe.” She said I have nasal allergies and prescribed some medicine and told me to continue a few of the things I was currently using and I should be clear in 1-2 days. 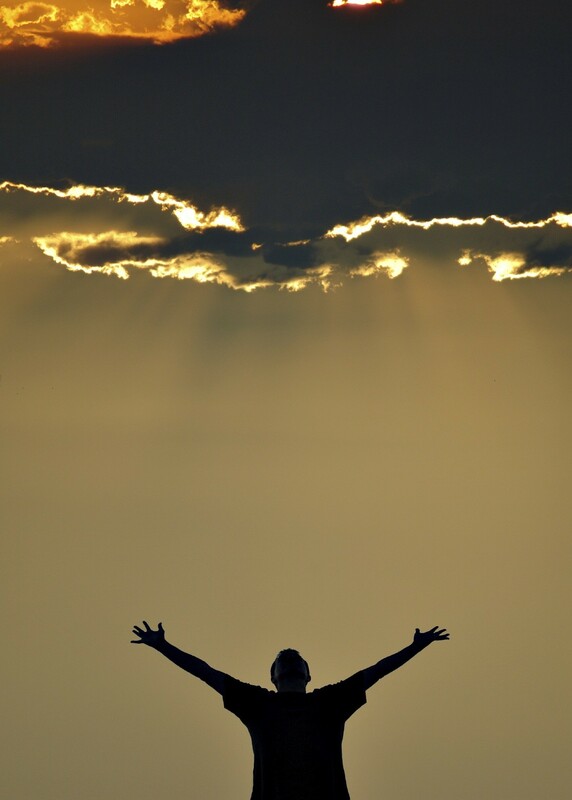 God is the giver of life and it started with the breath of life into mans nostrils. Before we accept Christ we are walking around spiritually dead. There is not breath in our body. We are merely existing. We are spiritually compacted and can’t inhale or exhale. Oh I know you may think you are breathing, but you are not breathing with purpose. You are walking around spiritually clogged up. We go through life trying to do what our body was created to do and instead we grow frustrated, stressed, overwhelmed, depressed and more. We can’t understand why nothing is working. We spend more time soliciting advice from any and everyone instead of going to the source and giver of life. The Master physician is waiting on the spiritually dead to call and make an appointment with Him. He is ready to diagnose the symptoms and prescribe a remedy. God wants to give you life. He wants to breathe into your life. How important is it for you to breathe? I realize spiritually that God is the very air I breathe. He is the sustainer of life and when I inhale and exhale I am reminded of the blessings He continues to give me. God gave me the gift of life and each day I’m allowed to live, I want to live it with purpose. Are you blocked up? Are you spiritually dead? We’ll allow Christ to breathe on you. If you don’t know Christ as your personal Savior, Romans 10:9 (NKJV) says, “9 that if you confess with your mouth the Lord Jesus and believe in your heart that God has raised Him from the dead, you will be saved.” That’s it. If you are ready to clear your spiritual passageways then I encourage you to seek God and allow Him to work in your life. He is more than enough for me and I know He can be so much more to you. God bless! Lord, I thank you for the ability to breathe. I thank you for the spiritual clarity you give me through practical situations. Thank you for being the air that I breathe! I want to wish each and every one of you a Happy Thanksgiving. Thank you for following my blog. Thank you for supporting me. Thank you for praying for me. Thank you for sharing my blog with others. Thank you for being you. I’m so thankful for this chance to minister to others through writing. I pray I never take this for granted. Enjoy your day with family and friends. Thanksgiving is this Thursday, but how many of you know we should be thankful everyday of the year. Every day God gives each of us new mercies, for that I am thankful. I wanted to share how much I love the way Psalm 30:11-12 reads. When I read this scripture I rejoice because Jesus turned my mourning, my sadness, my wailing screams, my troubled disposition into dancing. I no longer have to feel defeated, depressed or afraid. Oh, if you know anything about me, you know I love to dance. I love to minister to the glory of the Lord through dance and I love this scripture because I know only God could turn my mourning into dancing and for that I’m grateful! Jesus took off my old tattered worn down clothes that were laced with emptiness and replaced them with gladness. I am so thankful that when I accepted Christ as my Lord and Savior my old clothes didn’t fit anymore. I no longer could wear the garments of the world, I became a new creature and God had to fit me into new garments. I’m clothed with gladness. OH, I’m so thankful!!! I will forever give thanks to the Lord. I was once lost, living in sin, headed towards a fiery grave in hell, but Jesus came in like a superhero, carried my sins to the cross, hung, bled, and died for me. Went to hell, snatched the keys, defeated death and ascended to heaven at the right hand of the father, FOR ME!!!! AND FOR YOU!!!! Yes, I’m thankful today and I will spend the rest of my life shouting from the mountain tops. I will spend my life offering God a dance of praise. I will remain thankful. What are you thankful for? How can you show God you are thankful on a daily basis? What can you do to demonstrate a heart of gratitude? I challenge you to thank God daily and not just on Thanksgiving. I dare you to embrace who God is and allow Him to saturate your entire world with grace, mercy, and His love!!!! BE THANKFUL!!! I am! 3 He has put a new song in my mouth—Praise to our God; Many will see it and fear, And will trust in the Lord. I am so grateful for the BLOOD. The blood that was shed for me, way back on Calvary. When God sent His Son to die for me and I acknowledged that sacrifice, Jesus put a new song in my mouth. When I accepted Christ, I walked into a place of peace, power and love. I walked into a place of royalty. I no longer had to live a life of hate, fear, anxiety, defeat, envy, malice, jealousy or bitterness. I’m singing a new song. When you accept Christ, it should be evident in your walk, your talk, your silence, your demeanor and your song. People should notice an internal transformation based on your external proclamation. As believers, we should not walk around living a defeated life. We should not sing the same tune the world sings. We should not live as if we don’t have hope. 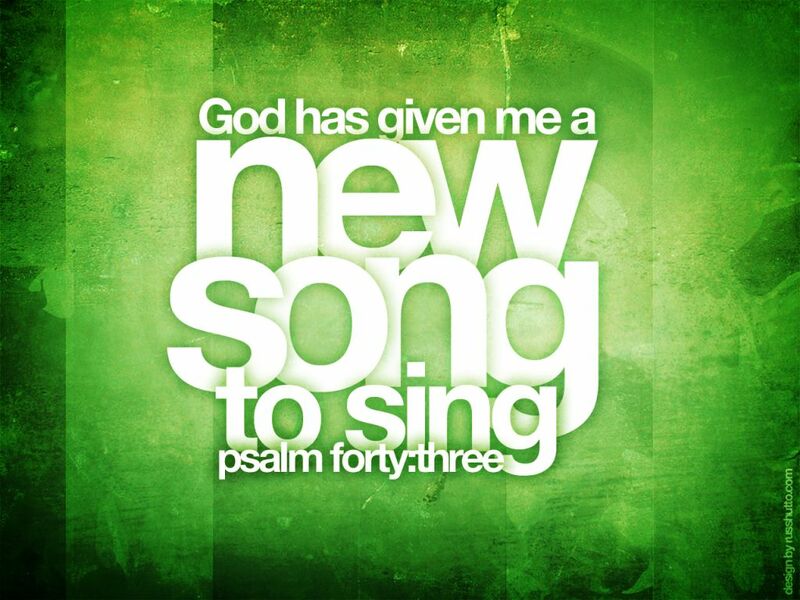 Our life should demonstrate the new song that God has placed in our hearts and on our lips. Life may not deal you the hand you thought you should be dealt, but I dare you to live like you trust God. I dare you to sing a new song of praise and adoration in spite of your current situation. I dare you to demonstrate your commitment to Christ by showing the world you are A NEW SONG! Your rhythm should be that of praise. Your notes should be that of worship. Your life should be a sign of hope to the hopeless. People should desire to know the conductor of the new song you sing. I don’t know about you, but I’m singing a new song. I’m singing it to the glory of the Lord because He saved me. The blood of Christ redeemed me. Forever, I choose to sing a new song. What does your song sound like? Are you still singing a song of defeat or one of praise? Have a blessed day resting in Christ. I will not tell you who to vote for, I will not try to sway you one way or the other, but I will encourage you to exercise your right to vote! Every vote counts. Many people died and sacrificed their lives for African-Americans, Hispanics, women and many others to have the right to vote. If you don’t do anything else today, VOTE!!!! Don’t allow the cold weather or the long lines at the polls deter you. Please go vote. YOUR VOTE COUNTS! Good morning! Happy Friday. It feels like I haven’t written a blog in forever. I’m coming around the corner towards graduation. Only one month and 15 days left until graduation. So forgive me for the less frequent post. It’s temporary. I have papers to write, cases to answers, quizzes to take, test to pass and I’m doing it all with the help of the Lord. Be sure to read God’s word daily. Consistency in your personal relationship will give you strength for the journey. Continue to pray for me and I will continue to pray for you. Thanks in advance! Check me out on Facebook at “Sunshine’s Reflections”. 14 If you ask[a] anything in My name, I will do it. This week I took a trip down memory lane. I stopped to look at my old “vision list” to find things I prayed about had been crossed off and new things have been written. God reminded me that I’m a woman of my word. When I say something is going to happen, it’s going to happen. Not because I’m this grand master of perfection, but because I serve the GRAND MASTER OF PERFECTION. That and I’m crazy enough to believe that ANYTHING I ASK IN JESUS name, He will fulfill. Stay with me for a second. As believers, we have to embrace the fact there is power in our tongues. There is so much power in our tongue that we can speak life or death into a situation or a person. This power doesn’t come from our own might, but from Jesus Christ who dwells within us. In Genesis 1:3, God said “Let there be light” and there was light. In the first chapter of Genesis, GOD merely spoke the world into existence, now that’s power! Do you realize the same power that God used to speak the world into existence dwells within you? See, I’m crazy enough to believe, when I say I’m going to do something or be something in this life, God will hear me and manifest the blessing bigger than I imagined. Not because I’m some super great person, but because He is a super GREAT GOD! God’s word tells us, anything we ask in His name, He will give to us. Do you realize when you consult God about your affairs in this life and your desires are lined up with His will, He will bless you beyond measure? I don’t know about you, but I took a stroll down memory lane and people who know me can attest to this, when I say something is going to happen, it happens. I REPEAT: NOT BECAUSE OF my power, but because of the POWER that resides in me which comes from a POWERFUL GOD! I challenge you to hold God to His word. The problem is not all believers believe in the power that lives within them. Some people desire to do something great, but will never ask for it because they think it’s impossible. We’ll it’s time to get crazy. It’s time to get crazy enough to believe that anything you ask in JESUS name, He will answer! It’s time to spend time at God’s feet and watch Him transform your desires. It’s time to recognize His voice so you know when to ask for the “MORE”. I’m excited about what God is about to do in my life and my family’s life. Why? Because I’m crazy enough to believe that anything I ask God in prayer, He will answer! Are you crazy enough to believe God will do something great in your life? Are you crazy enough to believe you can speak healing over your body and be healed in Jesus name? Are you crazy enough to believe you can speak peace over your home and there will be peace in Jesus name? Are you crazy enough to believe you possess the power to speak life over every person who comes your way? If you aren’t, I am. I’m crazy enough to believe it and I will continue to walk in the power and authority of God. I pray you have a wonderfully blessed day believing in a very real GOD! God bless!